In 1985 the Cane Creek Cloggers asked me to fiddle for their performance at the Turkey Festival in the small town of Raeford in Hoke County. A sizable crowd had gathered to see the dancers perform on the outdoor stage erected for the event. As I played music for the routines, I noticed that an older, slightly built gentleman wearing a hat was watching me closely. I sensed at once that he was a musician, likely a fiddler, and when the performance ended I hurried offstage and steered through the crowd in his direction. He introduced himself as Smith McInnis and replied in the affirmative when I asked if he played the fiddle. When I handed him my instrument, he played a few notes of “Mississippi Sawyer” and I could tell immediately that he was an interesting musician. He invited me to visit him in his home, and I returned to Raeford in a few weeks. A friendship quickly developed, and I came to enjoy his wit and sense of fun as much as his fiddling. Smith McInnis fiddled breakdowns and hornpipes at a quick pace that, nonetheless, featured fully developed melody lines. These qualities made his fiddling both exciting to hear and well suited for dancing. Smith was particularly adept at executing circular bowing and would combine bow pushes and pulls to bring interesting rhythmic embellishments to a tune, all the while maintaining a driving pulse. His rendition of Leather Britches shows all of these traits. This video was made on January 10, 1987, as part of my documentation of North Carolina fiddlers. Videographer Nancy Kalow assisted with this project. 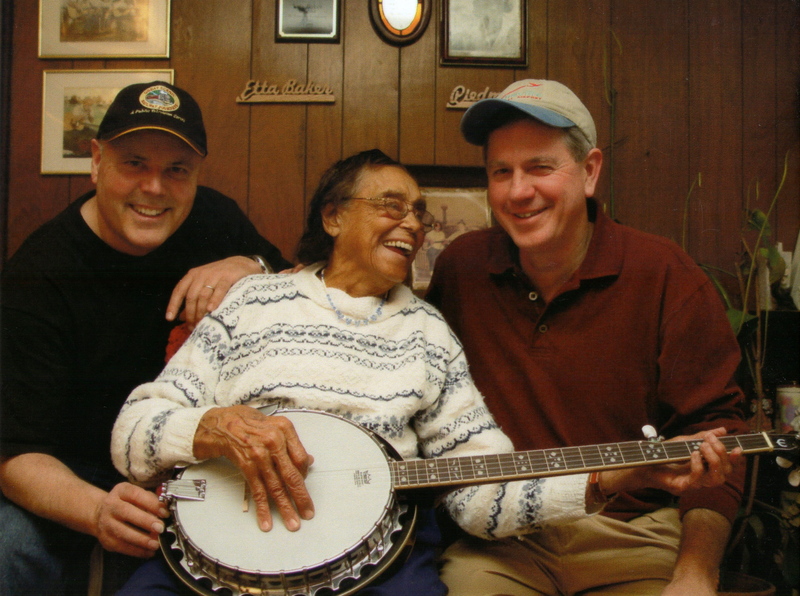 Etta Baker (center), David Holt (left), Wayne Martin (right). Photo by Tim Duffy. After collaborating with NC Arts Council colleague Lesley Willliams to produce the CD Etta Baker: One Dime Blues, I continued to visit Etta Baker at her home in Morganton to play and record her music. The CD recording focused upon her guitar repertoire, but Etta had also played fiddle and banjo as a girl. During my visits, she would often ask me to play the fiddle and she would pick up the banjo. Margaret would add guitar when she was present, completing the string band. 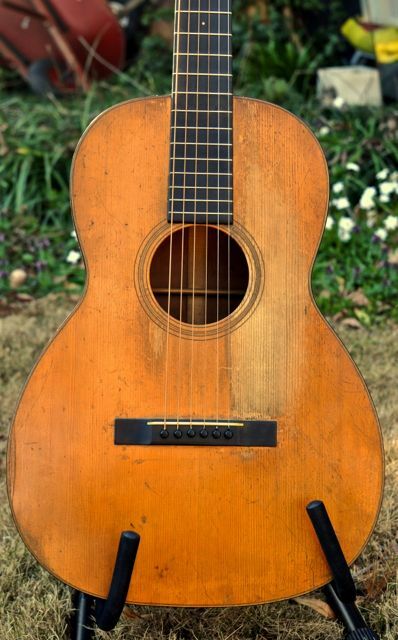 This configuration stirred memories for Etta’s daughter, Dorothy, of times when she was young, listening to her grandfather, Boone Reid, play banjo with Etta on fiddle and Etta’s sister, Cora, on guitar. As Etta approached 90 years old, when playing guitar required more strength than she could easily muster, she seemed to gravitate to the banjo. One unusual tune that we love, “Peace Behind the Bridge,” came back to Etta after she’d been playing banjo for a while. She recalled hearing it played by the Crisp family, her neighbors in the John’s River community of Caldwell County, who hosted music gatherings when she was growing up. I created the fiddle part and tried to integrate the slides that I heard Etta play on the banjo. The piece has a distinctive rhythm, and Etta liked to recall her father dancing to it. He was known as a fine dancer, whose steps, such as “sifting sand,” followed the bended notes in the tune. Thanks to Tim Duffy, the founder of Music Maker Relief Foundation for permission to use this recording of Etta on banjo and Wayne on fiddle. Tim released this performance on Etta Baker: Banjo in 2003. Mississippi Sawyer, Lauchlin Shaw, A.C. Overton, Wayne Martin, 1990. A good friend of old-time music and a student of life throughout his own life, Tom Hargrove took this video of Lauchlin Shaw, A.C. Overton and Wayne at the 1990 Raleigh Fiddlers’ Convention. This sterling rendition of “Mississippi Sawyer” features Lauchlin Shaw’s propulsive fiddling and A.C. Overton’s powerful two-fingered banjo picking. Sponsored by PineCone, the convention itself was the result of Tom’s research on the original Raleigh convention, held at Pullen Park from 1904 to 1914. One of the bright features of the event were concerts by older fiddlers and banjo players from the Piedmont of NC who had learned their music in the early decades of the twentieth century but who were still quite active.